Ranging from very hard stones to soft minerals, stone can include slag, limestone, quartz, granite, iron ore, sandstone, copper ore, marble, cement and more. Since stone crushers can be used on such a wide range of materials, they can be utilized in a variety of applications in industries such as mining, for the crushing of mined and quarried stone; metallurgy, for the crushing of large stone into smaller stone that can be used in the process of working metal into parts and components; chemistry, to crush stone that can be used to process a variety of chemicals; construction, for the crushing of stone rubble that was previously used as building materials; and demolition, to crush debris left behind by the demolition of buildings, roadways, bridges, canals and various other structures. There are a few different types of crushers that are used to crush stone, including jaw crushers, cone crushers, hammer crushers and impact crushers. Using compression, jaw crushers feature two “jaw-like” surfaces. Referred to as jaws, jaw crushers have a fixed jaw and a mobile jaw. The mobile jaw enables crushing by exerting force on the stone and forcing it against the fixed jaw. Also using compression, cone crushers are conically-shaped and provide crushing by squeezing the stone between a gyrating spindle powered by an eccentric arrangement and an enclosing concave hopper. Both parts are covered by wear-resistant materials to protect them from the broken bits of stone. Most often used as a secondary crusher, hammer crushers feature swinging arms on a revolving shaft that crush the stone against the crusher’s iron cage; once crushed, a screen at the bottom of the crusher allows fine stone pieces to exit. 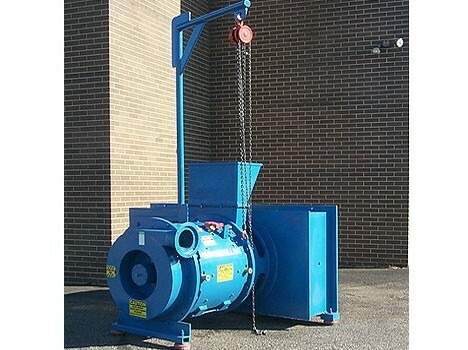 Also referred to as a hammermill, another type of hammer crusher is a reversible hammer mill that can run alternately in either direction. Lastly, instead of using compression, impact crushers break apart stone by means of impaction, which refers to a collision-wrought force. Impact crushers come in two main types: horizontal shaft impactors (HSI) and vertical shaft impactors (VSI). 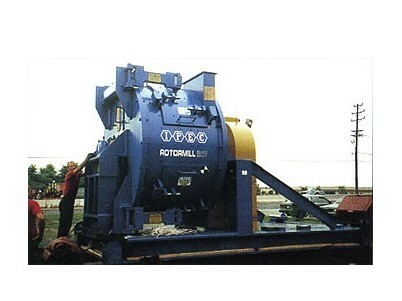 Stone Crusher A stone crusher is a type of pulverizer that is used to compress or break apart a variety of large stone. Stone crushers typically feature a large crushing rate and high yield, and while they may be used as primary crushers, they are also often used as secondary or tertiary crushers. Industries that utilize stone crushers include transportation, energy, petrochemical, industrial manufacturing and smelting.